The study aims to investigate the antioxidant, antilipase and antimicrobial activities of two plant species, Alchemilla arvensis and Taraxacum syriacum. In addition, plants were screened for phytochemicals, specifically the total content of phenols and flavonoids. Orlistat drug was used as reference to detect antilipase activity and showed that aqueous extract of Taraxacum syriacum more potent (154.88µg/ml) than the hexane extract (218.77µg/ml). The aqueous extract of Alchemilla arvensis was more potent (21.37µg/ml) than the methanol extract (30.90µg/ml). Extracts of Alchemilla arvensis and Taraxacum syriacum were tested for antioxidant, antilipase and antimicrobial activities. This study recommends that these plants could be used as cancer treatment drugs, also for obesity, in addition to being used as antibacterial and antifungal drugs, or as prevention against these diseases. 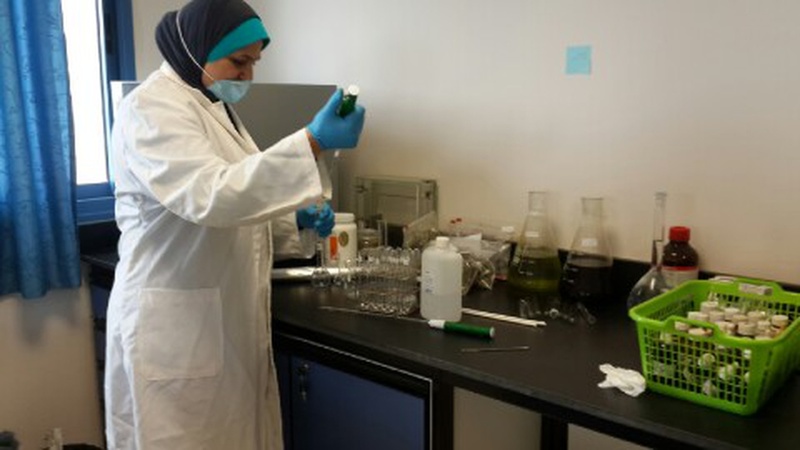 Hazar is a BSc graduate of pharmacy programme at An-Najah. 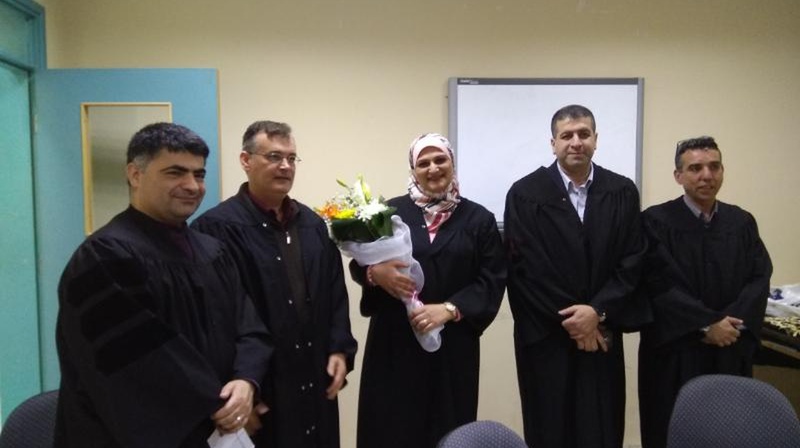 During conducting her Master's thesis, she worked in pharmaceutical labs of the Pharmacy Department and the Biology and Biotechnology Department labs at An-Najah.